"The room was spacious and clean." Have a question for Khamsum Inn? If what you're looking for is a conveniently located hotel in Thimphu, look no further than Khamsum Inn. From here, guests can enjoy easy access to all that the lively city has to offer. For those of you who want to venture out, Royal Textile Academy of Bhutan, National Handicrafts Emporium, Luger Cinema are just some of the attractions available to visitors. At Khamsum Inn, the excellent service and superior facilities make for an unforgettable stay. While lodging at this wonderful property, guests can enjoy free Wi-Fi in all rooms, convenience store, daily housekeeping, taxi service, ticket service. 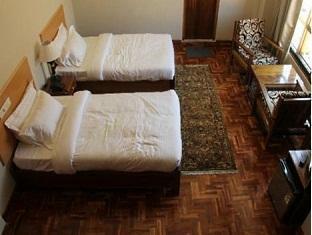 Khamsum Inn is home to 12 bedrooms. All are tastefully furnished and many even provide such comforts as television LCD/plasma screen, internet access – wireless, internet access – wireless (complimentary), heating, wake-up service. Throughout the day you can enjoy the relaxing atmosphere of the massage. 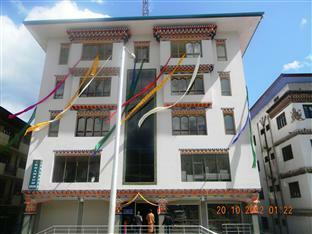 Khamsum Inn is your one-stop destination for quality hotel accommodations in Thimphu. I stayed two nights in two separate rooms- both ahead same problem, the room heater wasn't working, as those were quite old. I complained and the staff brought a new and portable one by 9pm- but by then our brains frose. Location is a little far from Thimpu city Centre, staff were ok. Bottom line: you will find better option than this hotel. I was there for 3 nights. The room was spacious and clean. The restaurant is also decent though I just had breakfast there. They have continental/Indian/Bhutanese breakfast options. Service is not so great but at this price one can accept the levels. Location is quite central and close to most of the markets and other establishments. Overall, its value for money.